5_ for all staff in the places occupied by terrorist gangs lack of presence in these places for your safety. 5_ لجميع الموظفين فى ﻷماكن التى تحتلها العصابات اﻷرهابية عدم التواجد فى هذه ﻷماكن لسلامتكم . tenderness. Mannan, Badi … The heavens and the earth, with honor and majesty, mercy, O Most Merciful. Elly Miattabrhash capital / Matattabrash gain. God Almighty Almighty and then Aabeyen Ruahhm p.
I mean, who I do not even Qdha Sakkat thank the O … Kebailna honest. Process volcano – led by the national army .. The arrival of Chief of General Staff of the Army Gen. Libyan Naaddoury to Russia at the invitation of Chief of Staff of the Russian army and to engage in direct talks with # analogues of the Russian military bases in various land, air and sea. Russia agrees to an alliance, if Libya repeals the ‘Isolation Law’ and recognises Libyan former Jamahiriya Officials, …and political-GREAT JAMAHIRIYA prisoners must be released upon Victory. and lack of sleep because the enemy seeks to cause harm. Jaquem McCann Gabe Aaclab Qatar. NATO READIES FOR NEW AIRSTRIKES ON LIBYA as OBAMA gives his O.K and Yankee $$$$$$$$$$$$$ “to bomb certain Militias” ???? Mohammed al-Raeid factory owner Nasim MP-elect of the Libyan Parliament and rejecting him! User fundamental businessmen council Libya established by Saif Gaddafi (ANOTHER BLOOPER OF SAIF !) and Mtdhans great Ali Baghdadi Mahmudi and was active members in the Office of Communication and companion of Muhammad Hidayat and robber great al-Dbebh and partner Ahmed Sarkis angular owner Franchise Samsung and the dominant firm deals Kmilit airports in Libya and Mr. Mohamed Abdel days to the present day .. Preparing to expose the shady deals deals Ahmed Sarkis angular and his brother Imad owners of companies and agencies mostly fake bids for tenders and fake in the Ministry of Transport and the interests of airports and their transactions pictures with Nasser Khalif Masrati and Mohammed Abdel Sayed, head of the airports and Mohamed Zidan Secretary of General People’s Committee for transportation in the GREAT JAMAIRIYA (but now supporters the bombing of Libya and the invasion) and after Rishvana misled Attorney General to open an investigation to whom ..
محمد الرعيض صاحب مصنع النسيم النائب المنتخب للبرلمان الليبي والرافض له !!! العضو أساسي في مجلس رجال أعمال ليبيا الذي أنشأه سيف القذافي و متدحنس كبير علي البغدادي المحمودي و كان من الأعضاء الفاعلين في مكتب الإتصال ورفيق لمحمد المجدوب و السارق الكبير الدبيبة و شريك أحمد سركس الزاوي صاحب توكيل سامسونج و الشركة المهيمنة علي صفقات كمليات المطارات في ليبيا ومن أيام محمد عبد السيد إلي يومنا هذا..
جاري التحضير لفضح صفقات مشبوهة لصفقات أحمد سركس الزاوي و أخوه عماد أصحاب شركات وتوكيلات معظمها وهمية وعروض لمناقصات وهمية في وزارة المواصلات و مصلحة المطارات وصفقاتهم بالصور مع ناصر خليف المصراتي و محمد عبد السيد رئيس مصلحة المطارات ومحمد زيدان امين اللجنة الشعبية العامة للمواصلات في نظام القذافي الداعمين لعملية تفجير ليبيا و غزو ورشفانة بعد تضليل من النائب العام في فتح تحقيق بخصوصهم.. Yet, it still happened, as with Jalil, Kusa, and Jabril...all crooked and all brought-in by Saif…among other notorious figures.…not to mention his confidence in ALI SALABI (‘hardness’) and Belhadj !! Libyan army is preparing for the process of decisive military spokesman said the Libyan army Major Mohammed el-Hassy (Hijazi), for “Sky News” that the Libyan army is a military action he described as “crucial “, to regain control of the capital Tripoli from the hands of the MB militias. “The army ranks ranks Currently for military action decisively, and we are waiting for orders from the high command to move at any moment. “and rejected el-Hassy (Hijazi) in a telephone interview from Benghazi, to disclose any details regarding the forthcoming, saying only that” the army has prepared plans for it, and will not be driven by random nor arbitrary preserve on the lives of civilians. and the same applies to the Benghazi saluting exist groups “militant” most important “Ansar al-Sharia …. Snqcef any military convoy are not affiliated with the Libyan armed forces moved anywhere on the Libyan territories inside or outside the cities. This photo is for demonstration puposes only; and it is not any convoy known top have been blown-up in LIBYA. Security sources said the head of a Tunisian crossing Ras worthy, quoting Tunisian nationals, some of whom were surprised at the request of interests tariffs on the Libyan side to pay the tax to enter Libyan territory. And confirmed with sources, in a statement quoted by the Tunisian Radio Sabra, that some of them pay the amount of this tax 60 Tunisian dinars, about 30.35€, and across towards the Libyan territory while the other side chose to return to the Tunisian territory. gate al-Davnip which were either sent to the south, or confiscated in al-Jufra gate. The role Al-Khlaifah known and well. battalion Abdul Nabi Arab men and their uniforms and al-Qmazfah target home and land the role of moss and Twar O Funny. Thanks xanthan Thank Rajaban Thank Araban Thank easy Ajafarh Thank Bani Walid Thank Tarhunah Thank Sabhaa Thank Sirte Thank Torgaa, five Alqrbula thank me ahead of Tabu and Torac. it has this species and is willing to donate it to contact this number: 0,917,117,276. God does not waste the reward of the doers of good. مريضة فى “مركز طرابلس الطبى” تحتاج لنقل دم وفصيلة دمها (B سالبة) , فمن لديه هذه الفصيلة ويرغب فى التبرع عليه الإتصال بهذا الرقم: 0917117276 . والله لا يُضيع أجر المحسنين . le statut de-lovers Shahid key Bouzid. Resume my trip Libyan Airlines from Mitigua airport to Alexandria, Casablanca and Stqan this evening. Copper theft of 50 containers of the Customs Department in Tripoli, their price nearly 60 million dinars. Interruption of water for the region Got Alshall. when he looked into the man’s daughter (5 years old) and grandmother whacked Valras and blood covered the chair. There is no power but from God. Joe Hunter and Icololhm Akhalo homes. Obash Kklh been crushed and some of the rabid dogs of Gharyan forbid Liberal where it came from Guo them to lock the road between Zintan and Rishvana and to cut supplies .. but got on Roshm and Tbako them pliers and died of them died and capturing them and fled Astra. Yesterday the armed group belonging to the Gharyan blocked the road link between the western and mountain Azizia order of the Misurata militia leaders Vtnadt them Libyan army units stationed in Zintan has been crushed and Adhu fled and did not keep them only their shoes, and some of their vehicles ..
WAHABI / BROTHERHOOD / KHARIJITE ATTACK HEADING FOR WATTAYAH AIRBASE ! today where prevented the seizeure of, and retain full control of, the military air base Wattayah located 170 km southwest of Tripoli after fierce fighting with MB forces shield the western region of the ‘Muslim’ Brotherhood. Day yesterday to a group outside the law breakers from the “rebels” on the House of Representatives of the region, “Gado”. This group tried to infiltrate the base Wattayah. “unemployed” Saraya military stationed there detained and disarmed their vehicles. They gave every rebellious (Guenint water even Ayath Ergau and left them to their area of ​​Pasir feet). Mercy Mbush shed blood for Ola Ergau to the straight path in the future. It also succeeded brigade and Rishvana forces and tribal militias in defeat “Ansar al-Sharia”, led by Shaban gift (known as) Ubaida angular, after falling into an ambush after an arbitrator was a sapling Tuibih region’s tribes and Rishvana. For its part, overpowered by forces from Zintan fighters and Rishvana over the MB militias from the ‘city of Graana belonging to process the dawn of Libya’ was going to cut the road between the city and the mountain west Zahra, causing the deaths of dozens of dead and wounded MB militants from Gharyan. 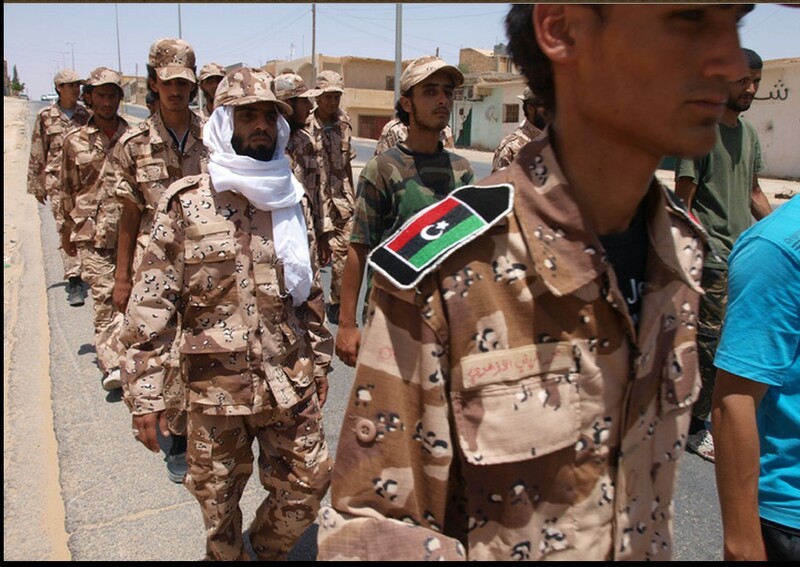 and the road is currently under the control of a huge military forces belonging to the Libyan army. Interruption of the Internet “# # Wi-Max” on the city of Zintan, performed by the militia MISURATA which occupied the city of Tripoli. for the first time to enter Libya ..
and to prevent cars destined for Xanthan to participate in the demonstration held in their Martyr’s Square for Zintani. Will be handled, God willing ! and ordered them to stand together and face toward the wall and opened fire on them without mercy. Mohammed Omar was killed, a drummer born in 1976 on the spot of injured all-Usta Mohammed Abdul humiliating born in 1993 seriously wounded, carp Usta Muhammad was born in 1988 seriously wounded, Usta Muhammad Faraj was born in 1993 seriously injured. and then after they leave, the militias then to strike a nearby house and settled four missiles flattened. These are the best of the region’s youth and people were required civilians and their homes might not find a place to run to. Media completely absent from what is happening in the massacres and terrorism Tuibih and Maya. If angular or Anzoura Dqath thorn in the land and Rishvana establish minimum and does not Ikaduha find pages and neighboring cities weeping and begs people and find commentators say and wipe Rishvana and Alncta Tawar and say this land of the ousted and criminals ..
What about the militia Abu Ubaida? Are they not the hardest criminals? Can we find the day of crying on Tuibih residents who mostly peaceful mixture of several tribes? Do you find it mourns Omar drummer in the pages of terrorist militias or immorality in the media channels? Do you find it is convinced that the war in the menu Tuibih and Maya are now attack for criminals and abusers and sellers of grain and receivables? Interface Language massacre committed by militias and shields in Tuibih. An armed group stormed yesterday morning, Thursday, 04 September 2014 a house for a family in the USTA Tuibih area and near the restaurant and the MB JANZOUR (so-called) “Knights” are shooting random people on the sons of the house and their relatives and kills two people and injuring three. They were identified as Mohammed Abdul dominant Usta 23 years old and another person is a Doctor chemistry son Mohammed drummer and either wounded understand carp Usta Muhammad and two sons of his aunt was not able to learn the names of our sources is complete. Young people were present in the house of Mohammed Usta in Tuibih eat breakfast when it entered them armed group, which controls the region, namely militias Interface Language and shield Bank and took their phones and made them line up on the wall and was shooting them at random with a rifle NBK T according to the words of one survivor of the massacre. The gunmen then stole two cars from the house and went out to find an old man in the road and tell him that there were dead in the house that he wanted first aid; arose Sheikh reporting them was their ministry to a hospital corner. It is worth mentioning that most of the families in the area Tuibih displaced since the period due to the indiscriminate shelling of the region’s long, but the young people stayed to guard the houses from thieves and criminals. Libyan Arab Jamahiriya Zliten country Aezzyakdave name of God the Merciful …. O Libyan people great Tnvidalaradtk free and Thakiqalomanic precious and sincere response to your call Almtakerralve demanding Baltgarwaltthiroages to work, initiative and inciting revolution and regularity has your armed forces to overthrow the reactionary regime backward and rotten which Ozakmt smelled stinking Noses and shrug of his vision features chilling and one stroke of your army hero tumbled idols and crashed Alottan Vanakecg. The enemy of Islam, is the enemy of Humanity, which burned our holy places and broke Party-nawhecda. and Yamen Qatltm with Muammar al-Qathafi and Mutassim and Khamis Gaddafi for Libya and Aerobh-wala-salam fighting really Aaibina badiha Aaibina desert Aaibina ancient cities Aaibina rural Tahra Aaibina villages …villages fine granular Haked pealed hour work Fa forward and Revolutionary Struggle continuously …. to Athurh Talo above Revolution Colonel Muammar Mohamed Abdel Salam Abu Minyar al-Qathafi, God willing, and that this revolution is a revolution of white and Lucite revolution, red contaminated and full of blood Kmafltm. You Ioeha foolish: either we are involved to complete the task and Emczuaromcirh Colonel Muammar al-Qathdafi (may God protect him), and We have prepared a kit as commanded, and are continuing to Malldna him and burn everything and everybody above the heads collaborators and traitors and Godless, and eradicate the thorn from its roots as pledge. Fatima Ali al-Tarhuni is the14 year old daughter of Mr. Ali Al-Tarhuni ..
Media Brotherhood is trying to distort the Patriots in any way ..
Lake ← ← post comments ← in order to reach the truth to all. فاطمة علي الترهوني العمر 14 سنة إبنة السيد علي الترهوني..
إعلام الاخوان يحاول تشويه الوطنيين بأي طريقة.. There is a continuous flow of Turkish planes to Misrata Airport. prisoners of MISURATA escape ! Is Britain playing both sides of the Ball Game ? 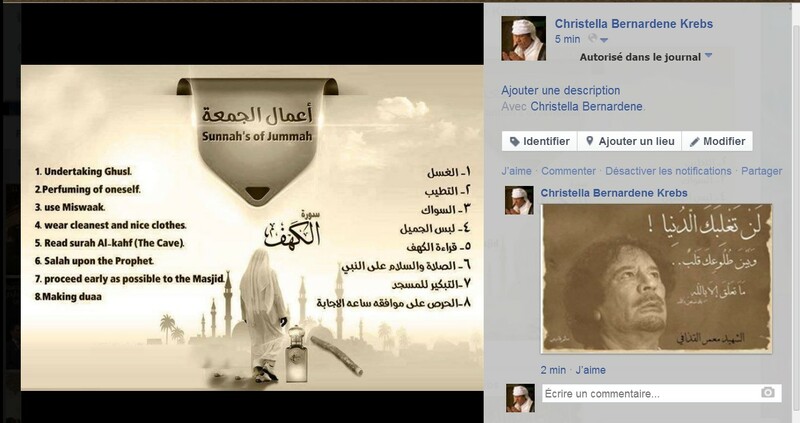 Or was this mis-reported (as it came-out of MISURATA) !! no legitimacy except for the Allaotunai General National Congress and the Government, ‘Mohammed el-Hassy’ (is just) childish games !!!! السفير البريطاني “مايكل آرون” خلال زيارته لمدينة ‫#‏مصراتة‬ صرح قائلا : لا شرعية إلا للبرلمان وحكومة “الحاسي” العاب صبيانية . This was the message of the English delegation today in Misurata. BRITAIN (U.K.) SIDES WITH “LIBYA DAWN” !!! option Asabah Zliten, and Gharyan, five, and MB of Tarhounah. a shave, shower, and a nice suit, and you are no longer seen as a terrorist ! They fulfill their own sweet Zionist agendas which pleases them to be with the ‘Muslim’ Brotherhood. Ordered Special Forces Thunderbolt and stresses Nice Bouchmadh used artillery to bombard the extremists – archival. «The troops bombed, Wednesday, artillery number of stores of ammunition in camps controlled by the« Shura Council of the rebels in Benghazi »that falls beneath the organization« Ansar al-Sharia «and« Shield Libya 1 », and battalions Rav Alshata God, and the martyrs of February 17». And heard today, on Thursday, the flight of warplanes in the skies, and the city of Benghazi witnessing violent clashes between Special Forces «Thunderbolt» (in addition to the process of «Dignity» plus ‘Gently’ DF Cyrenaica, combined) against Ansar al-Sharia terrorists., announced by Major General in the Army Khalifa Hftar since last May, against extremists in the city. Appreciate trace # news channel in two words, but, regarding the two children wounded, but that the controversy Naftradw # Hfterqcefhm, Bahi NATO bombing 78 (hah, just only 78 ???) civilians in Libya error ? ?, Ôäć do you think? Bahi mercenary NATO supporters against Hfter who fights terrorists in Derna and Benghazi ..
TGI news says how terrorists Hdhum (calling them # ìrebelsì! )Tmaaaam, Nicollhm Okaro statement number 19 who Talaaoh # Cil_chory_thoar_Benghazi. Anlqo they Mkvran democracy in all its forms! The House of Representatives does not Abosh not a national conference, sinner Arfosh what they learned in the state with all mesh confessing P. ..
NATO bombs LIBYAN airforce (NATIONAL ARMY / HFTAR) by error ????? and I wish him Aijaopponi frankly, Vhmtwa need of aircraft bombed by NATO yesterday in Benghazi ? .. !!!!!!! ARRESTED on Thursday, 04 SEPT. 2014, the Misurata terrorist named Ali-Ibrahim Bouchaal-Halkieda Lhalboss of the MB battalion of the Central shield. He was fighting in the ranks of “Ansar al-terrorism” at the “airport Have-built”. and most prominent amongst them, of all of (Abdul Rahman Sowaihili (Misurata) – Ali Bozekok (Benghazi) Abdul Rauf immune system (“hater”)(Tripoli-Salim) – Fathi Bashaga (Misurata) – Ali Sibai (Tripoli, al-Andalus) – Ali Bozribe (corner) – Salem bottles (Nalut)) cells, known as the ‘Muslim’ Brotherhood parliamentary and extreme stability against Libya. # Cil_alomn in his report today regarding the decision of 2174 (2014) Manual advantageous to have understood that even if Salah Badi and his Paddy group Agnon, Petrki sanctions are being implemented on the foot and leg in each of the threatened. The safety of debtors and obstruct the peaceful transition to paillasse and will not support, but the House of Representatives as being the sole representative and the legitimacy of the Libyan people. Salim Karim Salem al-Dakulai Gaddafi killed…. and the injury of Ali M’hamed Gaddafi, whose condition is very critical ….. The young victim Salim Karim Salem Gaddafi. His father and mother only had this one son. We ask God traced back to his family unharmed. After the word Sudan’s Foreign Minister Elly says that his country is keen on peace in Libya. Any plane After the word Sudan’s Foreign Minister Elly says that his country is keen on peace in Libya. a heavy shipment Dkhaúr on board …. 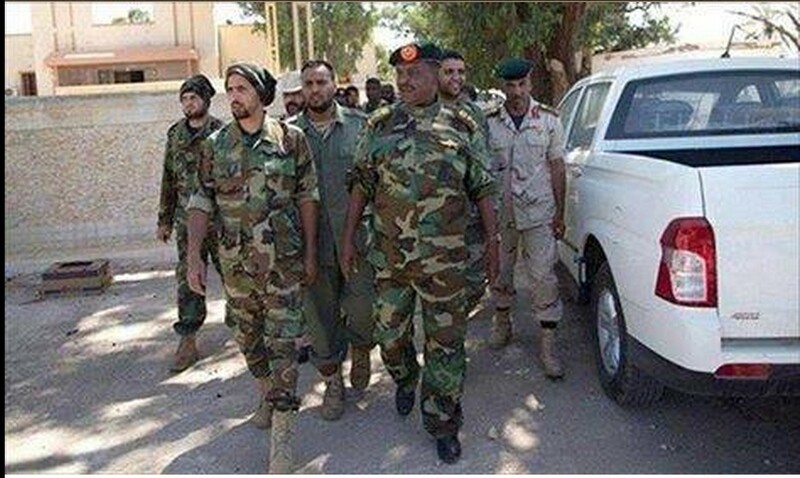 The chief of the MB military council ordered through the Libyan-Sudanese Joint Forces Colonel “Hamid Suleiman” . What throughput of some media on a shipment of weapons Sudanese have been relegated by force of Sudanese plane. Suleiman added that the plane landed normally at the airport in Kufra. It was not an emergency landing, unlike the rumors. Hamid said that the shipment was a supply to the joint forces of the MB SHIELD FORCES stationed in the regions of Owaynat and unpleasant border. and was discharged naturally before Ntfaji some media published Unlike exactly what happened; and they relationship with MITIGUA Airport (occupied by MB forces of the Libyan Shield). 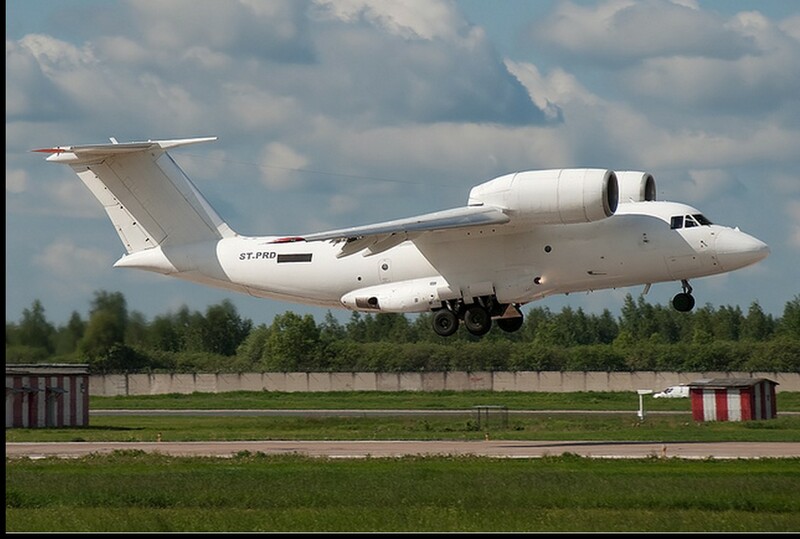 The journalist Mahmoud Masrati editor of the “new Libya” had said earlier that the plane Antonov 74 Sudanese asked refueling airport Heathens, who were only allowed to land for the subject later for inspection at the airport, in the city to prove the existence of shipment Dkhaúr on board, was emptying the shipment and booking papers plane . United Nations || armed MB and KHARIJITE mercenary militias in Libya committed «serious violations of human rights» ..
A report by the United Nations on Friday that serious violations of human rights committed during the clashes in the cities of Tripoli and Benghazi (al-Lebian) have had disastrous consequences for civilians ..
That they actually lost control on Tripoli which is controlled by MB armed militias .. The report accused the MB militants and KHARIJITE mercenaries did «indiscriminate bombing, and attacking civilian targets and bombed hospitals and kidnapping civilians, and carrying out torture and arbitrary killings of civilians, including women and children» .. The report said that «dozens of civilians were kidnapped in Tripoli and Benghazi just for religious or tribal affiliation or suspected affiliation; and are still missing since their abduction» ..
BELOW PICTURE is the leader of the “AKKLA GHIANI GNEOH MILITIA”, alias Mahdi al-Haratine..whom Ali Magrief made Governor of Tripoli, after policing ABU SALIM…Murderer, kidnapper, terrorist and mother-killer, he is wanted by many States as well as the International Community. He, like Abdul Hakim Belhadj, led and trained many militants in Syria, Iraq and other parts of Asia as well; and had dubious workings in Ireland, embezzeling lots of money. ‎أولاد الشيخ عبدالسلام الاسمر‎ a ajouté 5 nouvelles photos. This who hides his face was a fighter and puts ‪#‎ISIS‬ tattoo special American army? This entry was posted in Actualités et politique, History, Mankind, Music Videos, Non classé and tagged Cyrenaica, France, Green Nafusa Western Mountains, RUSSIA, SOUTH LIBYA, TRIPOLI, Tunisia, USA. Bookmark the permalink.